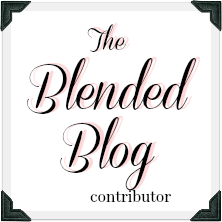 Happy Wednesday and welcome to TBB Style with The Blended Blog. 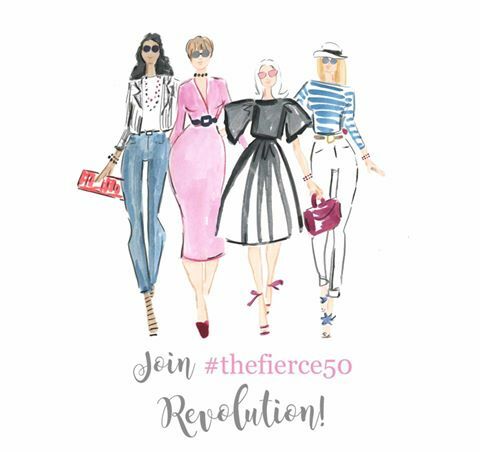 Our fabulous hostess this week is Deena, so be sure to pay her a visit and add your post to the link up! Today the theme is REMIX, and the idea is to choose a blogger and recreate an outfit they've posted. Except I couldn't make a decision about who to pick, and then it snowed eighty feet, and I was afraid if I went outside to take a picture I'd get lost in the blizzard. Phew. So instead, I want to share the fabulous new business my friends have started, called Salt and Light Lifestyle. I'm so excited for Deena and Abbie, who are partnering with Rachel, and I know they will be a huge success! I'm wearing a sweater from their newly curated collection. Their shop includes both consignment pieces and new items, and these ladies have fantastic style and taste. So far they've only released a few things, but I want them all! In addition to clothing, they also have a podcast and are coordinating fun events in the Saskatchewan, Canada area. I just love that they took a leap of faith, decided to be brave, and have created this amazing venture. Be sure to check them out and follow along! 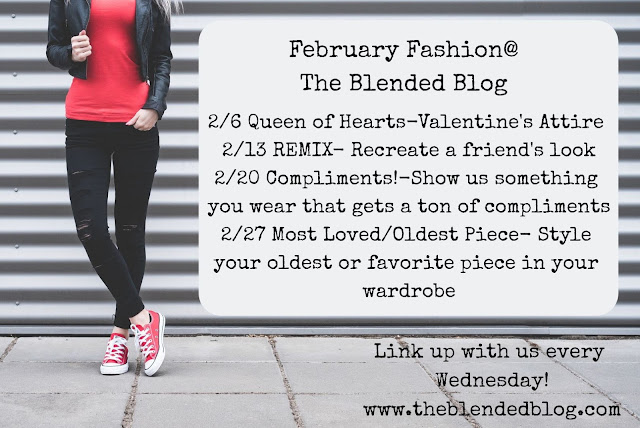 Don't forget to link up with us, or follow along on IG with #theblendedblogstyle. That dotted sweater is so fun! The pink color is perfect for you. So polka dot pretty and I love the pink. Eek!! Pink and Polka Dots! My favs!! Ahh! I totally want that sweater! Or something from their new shop! Everything in their shop is so good! Aw, thanks friend!!! That is so sweet of you. Best of luck to your friends' business! 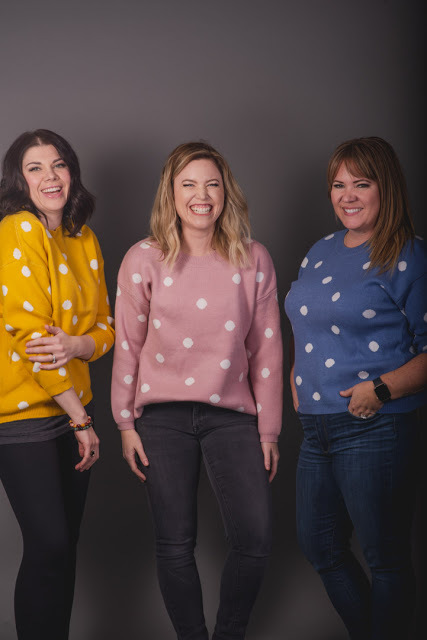 You all look adorable in the polka dot sweaters! I just bought the yellow one!! I can't wait to wear it!! It's going to look fantastic on you! You are gorgeous! Aww thank you for the encouragement, friend!! You guys are going to be amazing! Eighty feet of snow?? Lol, I get it! Love this blush pink on you. I listened to the podcast last week and it was great! These ladies are fun to listen to! That's a lot snow! Good idea, not to go outside for that. This sweater from Salt and Light is beautiful. Love the design and of course, seeing all the available colors, I too want them all! Polka dots are always fun and the pink color is so pretty on you! I definitely need to check out that shop. Love all those colorful sweaters with the large polka dots. The pink is so cute. Congrats to them! As far as the snow I am so sick of it and the Winter, already. Spring cannot get here sooner enough! Love the polka dot sweater Love the pink color. 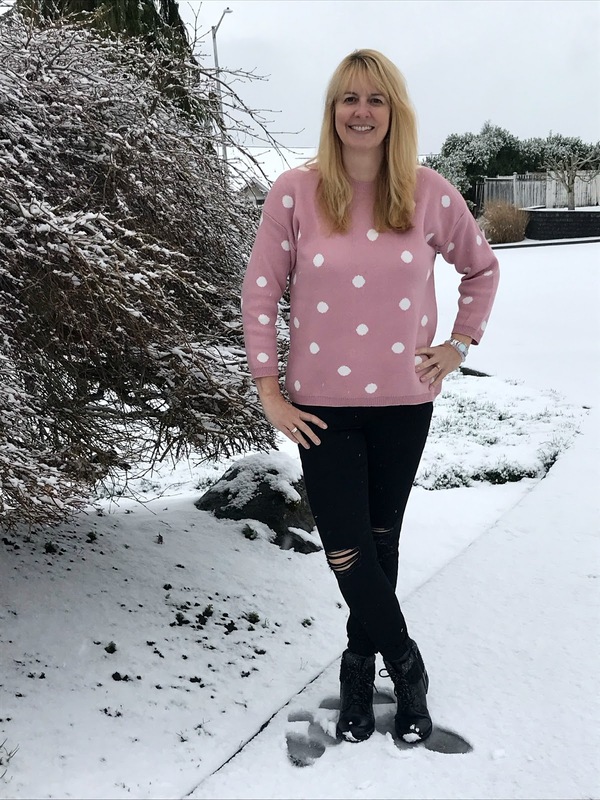 Love the rose color to your polka dot sweater That's alot of snow!